I love all festivals because they are an excuse to eat and have fun with the people I love! 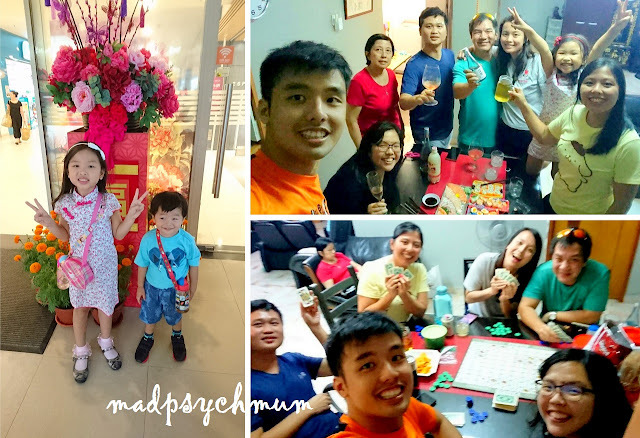 Chinese New Year (CNY) is no exception, even though it meant having to listen to "noisy" Chinese New Year songs all through January. It was gelish so I was confident it could at least last till the first day of CNY. It still chipped a bit on one fingernail by reunion dinner though but it was not enough to justify paying $20 surcharge in my opinion! To save even more, we crossed the causeway to get our CNY decorations of course. Oh and other CNY goodies too while we were at it. 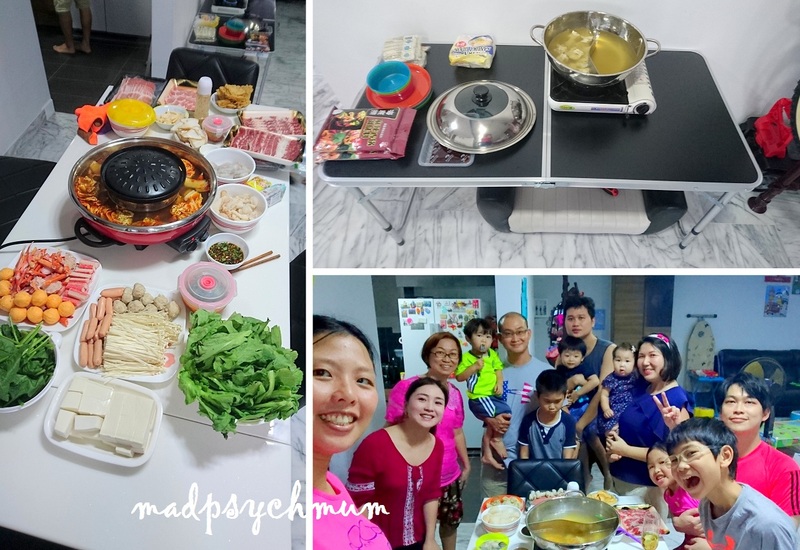 Reunion dinner was steamboat as usual, this time at House of KMJJ. We need two tables to accommodate 7 adults and 6 kids! As usual, we all overate! 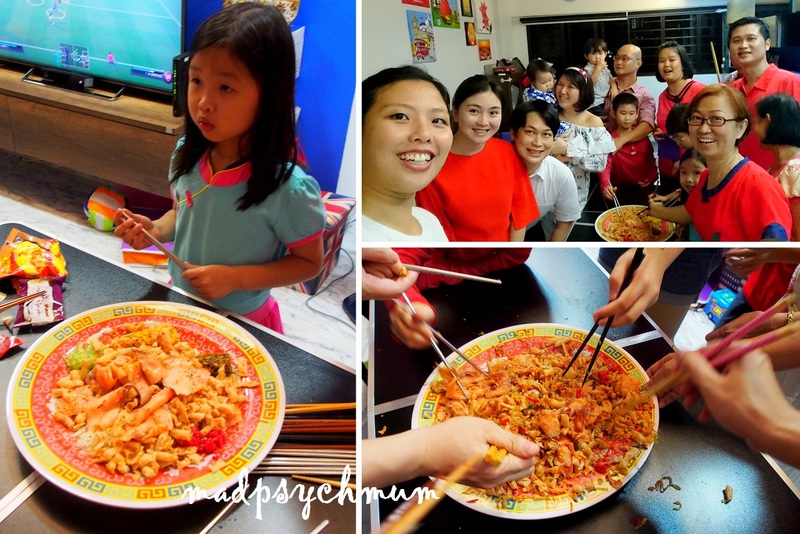 It was our first CNY at our house. 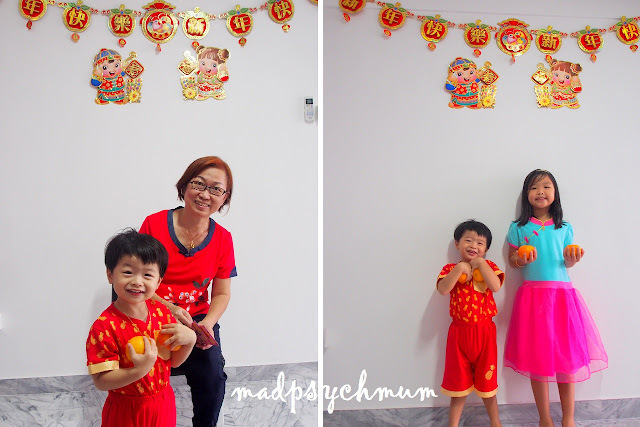 After we were all dressed and ready to go, the kids presented their mandarin oranges to the mum-in-law in exchange for their first hong bao. I bought my dress at the Robinsons Black Friday sale for 50% off its original price (and I got additional staff discount too thanks to the sister hehe). Gotta love a good sale! We headed out to my grandmother's place as she is the only elder left in our family (sadly, our other grandparents have passed on). 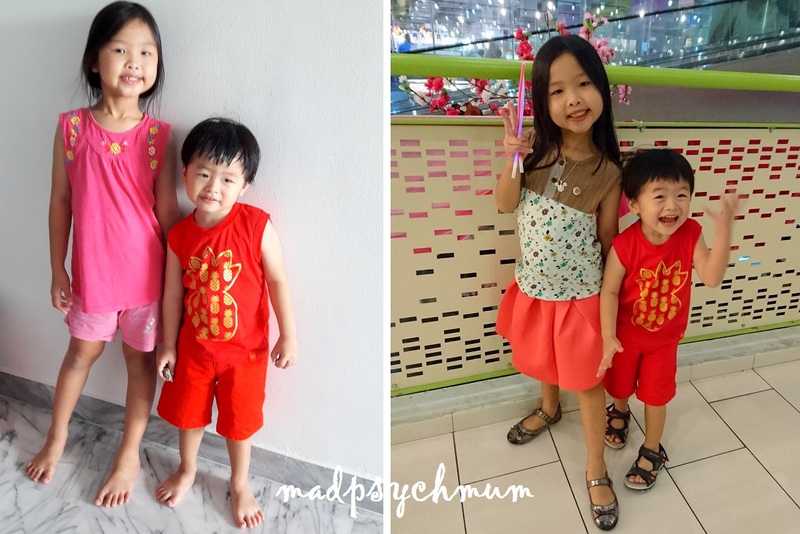 It's good for the kids to experience a bit of the old school since my 婆婆 (maternal grandmother) has not changed her furniture since I was born! We love meeting up with my maternal cousins every year and this year we've got a new addition! Group photo to commemorate our growing group. 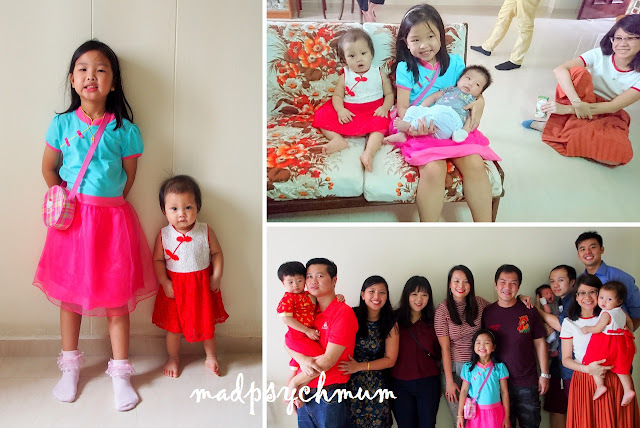 After we visited another relative, we went home to meet up with my kids' first best friends. Took me many shots before I could capture this one of the 6 cousins together. My kids are going to miss them when they move back to the US. Getting ready to toss as high as we can! We did not have any visitations on the second day so we just lazed around at home until it was time to meet my family for dinner. Although it was a simple dinner, I got the girl to wear her cheong sam since the mum-in-law already prepared it for her. A week later, we had a nice gathering with our friends, who visited us for the first time at House of KMJJ. We haven't met up in a long time so it was a good time to catch up.